Oh the beauty....actually having the time to read...summer is the best season for us teachers to catch up on reading! Reading at the beach or by the pool is soooo relaxing. What am I reading this summer? Well,first on my list is an awesome little read about writer's workshop. If you have struggled with how to set it up, this book makes it very clear with lots of mini-lessons right there for you. I'm loving it! 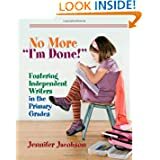 I'm also re-reading this one and following the book study going on right now for grades 1-3. 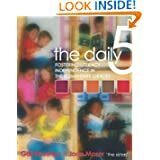 If you don't use the Daily 5 I highly recommend you check it out. You won't regret it! 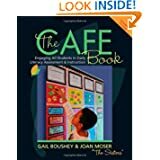 After the Daily 5 comes The Cafe Book. I just received my copy in the mail and can't wait to dive in. I'm hoping to add a lot to my reading program next year and this seems like the answer to goal setting,assessment, and increasing student's progress. With all the merit based pay talks going on out there I feel a little worried about making sure I am the most effective teacher that I can be. Fifty Shades of Grey! I can't believe I haven't read it yet either but I will have that little problem solved in the next few weeks. I can't wait!! I'm a little intimidated by "Shades of Gray"... good luck with it! I could not find a place on your blog to "follow" you. I'd like to! What do you do with your "teacher stuff"? 3rd Year is a Charm Right?